Many people are afraid to go to the dentist due to negative experiences with their previous doctors. More common is that many cannot afford to go to the dentist even though they would like to. All of these reasons for avoiding the dentist will result in increased risk for easily preventable oral diseases. 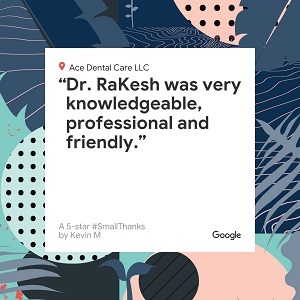 At Ace Dental Care, you will find affordable services provided by multilingual staff who will do everything they can to make you feel comfortable during your procedure. It is recommended that you visit a dentist at least once or twice a year because ignoring your dental health can have serious consequences for your teeth and gums. Gum disease, plaque, tartar build-up and tooth decay are some of the most common results of periodontal neglect. You should also note that there is a strong correlation between poor dental hygiene and serious diseases and medical disorders like cancer, heart disease, and diabetes. By visiting our preventive dentist in Alpharetta, you can avoid all of these problems. It is not a problem if you have no insurance because our Gold Membership Plan can reduce the price of our procedures by 30%. We provide our patients with a variety of discounts, and we will even give you a free second opinion if you bring your paperwork from your previous dentist. When you arrive, we will give you an accurate estimate of your procedure. You will not be ambushed by hidden fees when you leave our office. Our services are readily available every day except Sunday, and Saturday by appointment only. Our staff speaks multiple languages, including English, Spanish, Hindi, Telugu and Kannada. You will have no problem communicating with our specialists. As you can see, we provide the most comprehensive dental services in Fulton County. When you visit us, we will do everything we can to assuage you of your fears of going to the dentist! 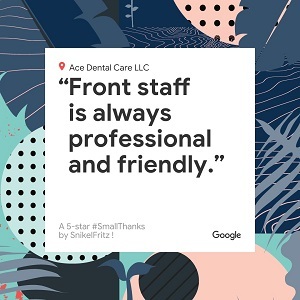 Do not be afraid to visit our dentistry in Fulton County because we will do everything we can to ensure your health while providing you with an affordable alternative to our more expensive competitors. If you want to have your teeth looked at by one of our highly trained dental professionals, contact us today and schedule an appointment by calling our office at 678-562-1555. We are standing by to help you bring out your pearly white smile!